Ivan Vinnyk admitted that the bill on the non-judicial blocking of websites needs reworking. 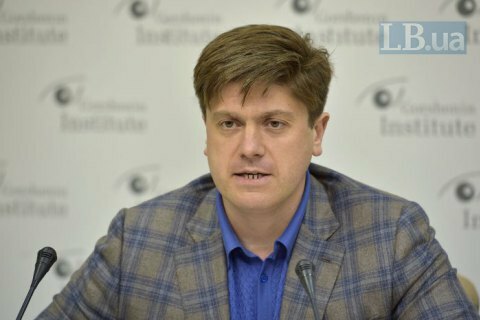 Ukraine has no legal mechanism to block a website posing a threat to national security, even in the criminal law, MP Ivan Vinnyk has said at a roundtable discussion on Bill No 6688 describing measures of counteracting threats to the country’s information security. In his opinion, the bill seeks to put a relevant legal framework in place. “The decision of the National Security and Defence Council to block Russian websites is not mandatory for business entities. Therefore, when providers do not ensure access to these resources, they do it out of their own will. The state needs a mechanism of response. That is what the bill is about,” he said. “Here is how it should work: relevant proceedings must be registered by a pre-trial investigation agency. This can be any pre-trial investigation agency although the Criminal Procedure Code says that high treason must only be dealt with the Security Service of Ukraine [SBU]. Then an investigator contacts an investigation judge who issues a resolution to block the website,” he said. According to Vinnyk, in emergency situations, when there is a risk to human lives, or if a heavy or especially heavy crime has been committed, the bill reserves the right to block a website for 48 hours based on an investigator’s request only. “Having read the critical feedback, I want to admit that we may need to offer a voluntary procedure of removing news stories which threaten the national security before we take to coercion,” he said.